Regatta knows that adventure is for everyone, and it is right out there on our door step, we just have to get up and get out. Regatta make great, affordable products for the whole family. Clothing and footwear that gets you outside, enjoying the fresh air without worrying about the price tag attached. In 1981 Regatta was launched. With just 12 out-door loving people at the helm, they set out to bring adventure to people all over the world. 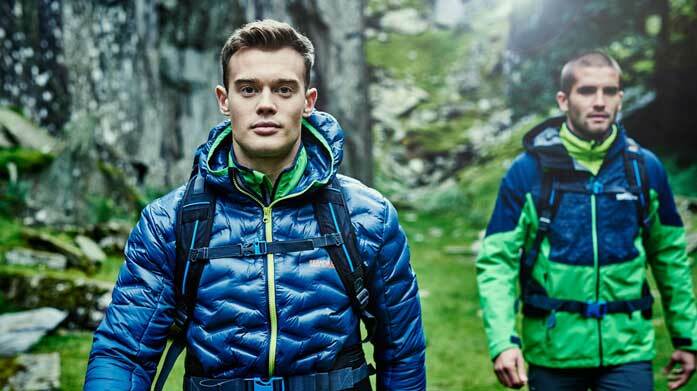 Now taking pride and place by the front door of millions of homes across Great Britain and beyond, Regatta has advanced into producing the entire range of adventure and outdoor necessities. From footwear to clothing, to accessories for every man, whatever his Everest may be. Camping equipment, hiking boots, biking lycra, backpacks, wellies for festival goers, even coats for our four legged friends! - There is no end to what Regatta has to offer. Twice awarded the Queen’s Award for Enterprise, this brand has gone from strength to strength. Craghoppers and DARE2B are also a part of this outdoor clothing triad. Shop sale on windproofs, waterproofs and more today. Discover the perfect label to add to the adventure loving man's wardroble, at a fraction of the cost at BrandAlley.